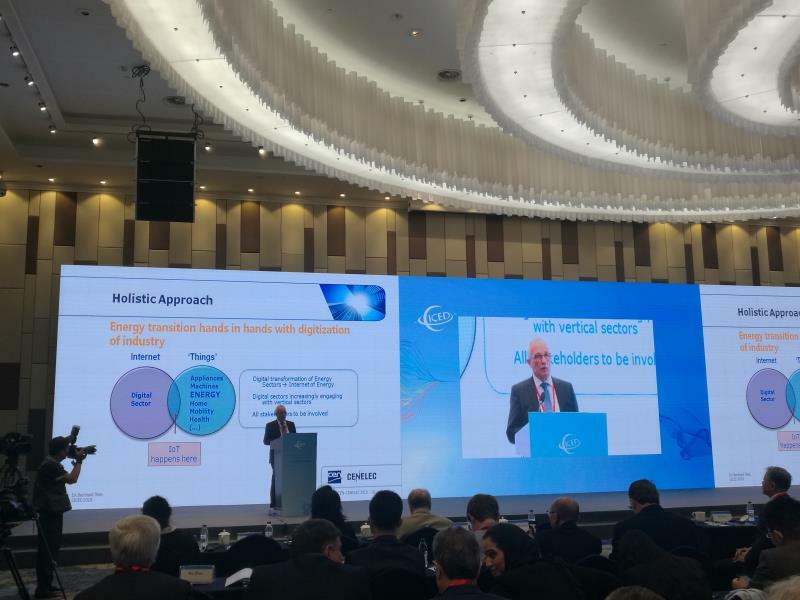 The 2018 China International Conference on Electricity Distribution (CICED 2018) was held in Tianjin, China on 17-19 September 2018. 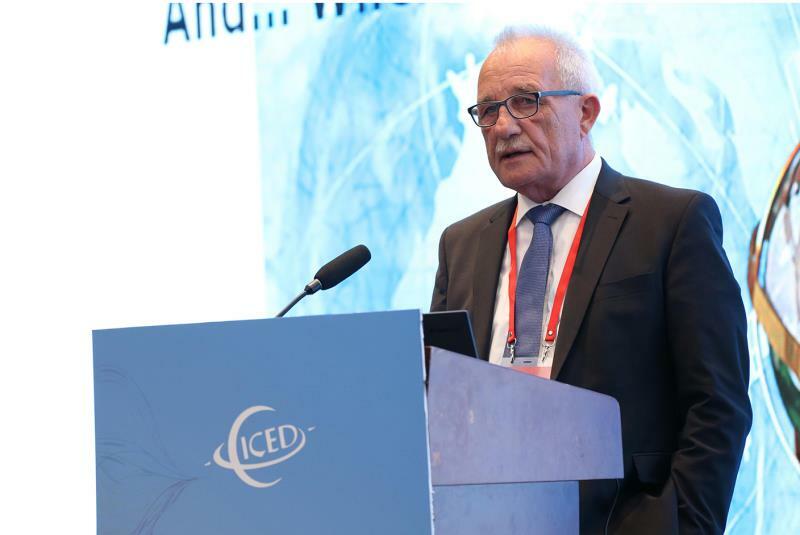 The CICED series of biennial conferences began in 2000 and are now at the 8th edition. 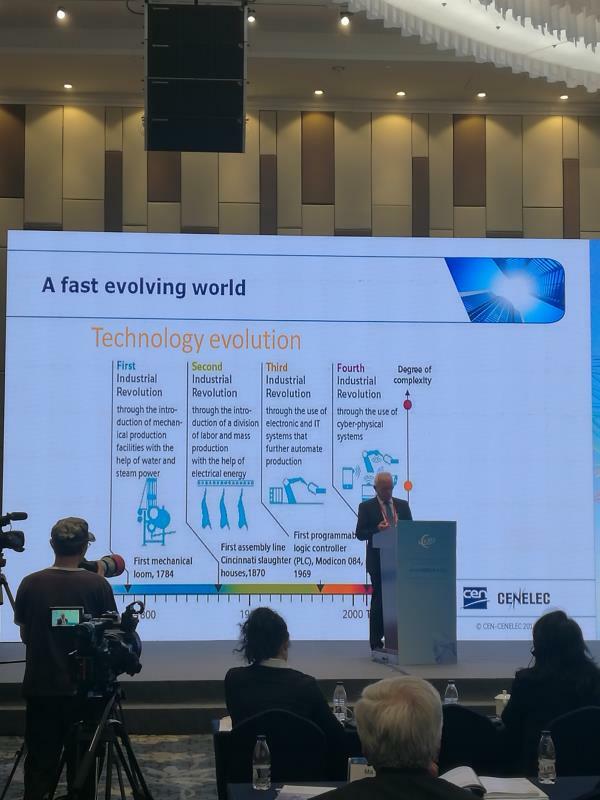 With the theme of “Smart Distribution, Low-carbon Life”, the conference covered areas related to electricity distribution, such as distribution equipment and asset management, planning and design, operation and control, protection and Communication power quality and power supply reliability, renewable energy integration, AC/DC distribution, power market and use of electricity and other various topics. 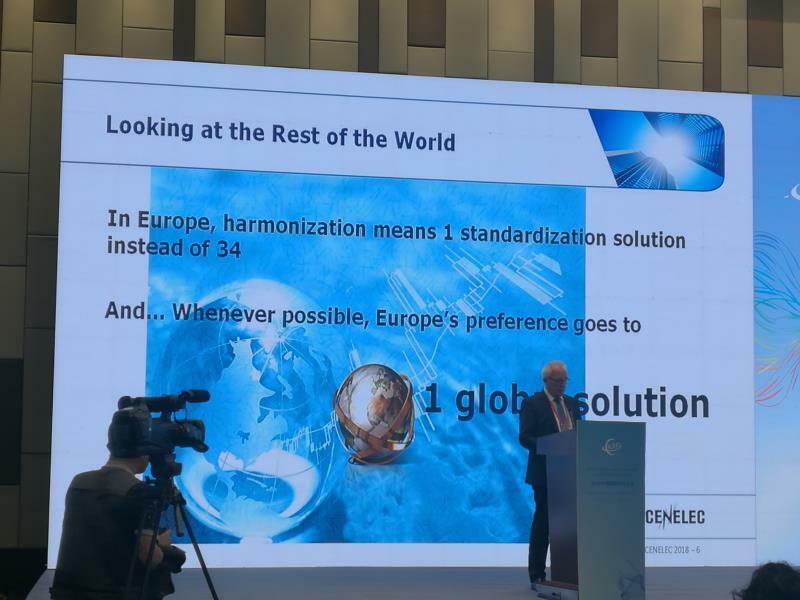 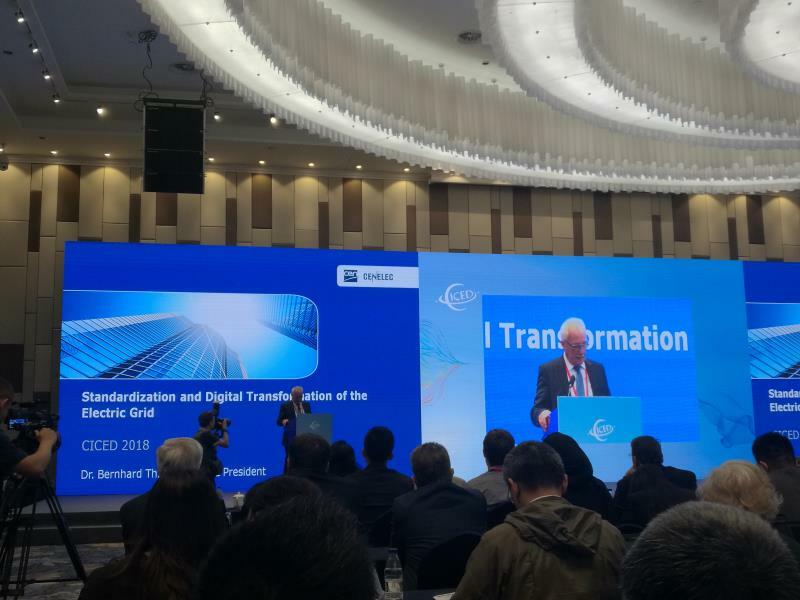 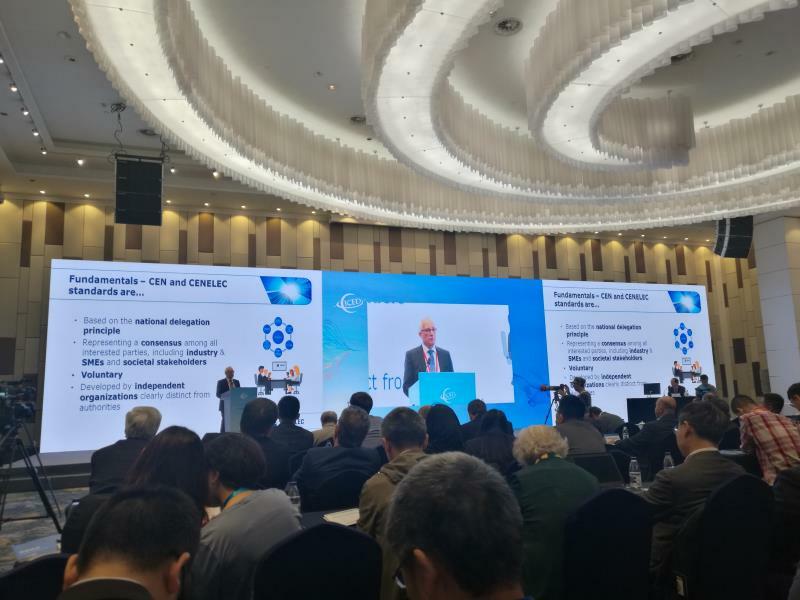 At the invitation of the conference, Dr.Thies Bernhard, president of CENELEC attended the meeting, and made a keynote speech of “Standardization and Digital Transformation of the Electric Grid” in the morning of 17 September, introducing to Chinese audiences the European standardization system, European and CENELEC’s digitalization strategy and plan, as well as the European electric grid standardization. 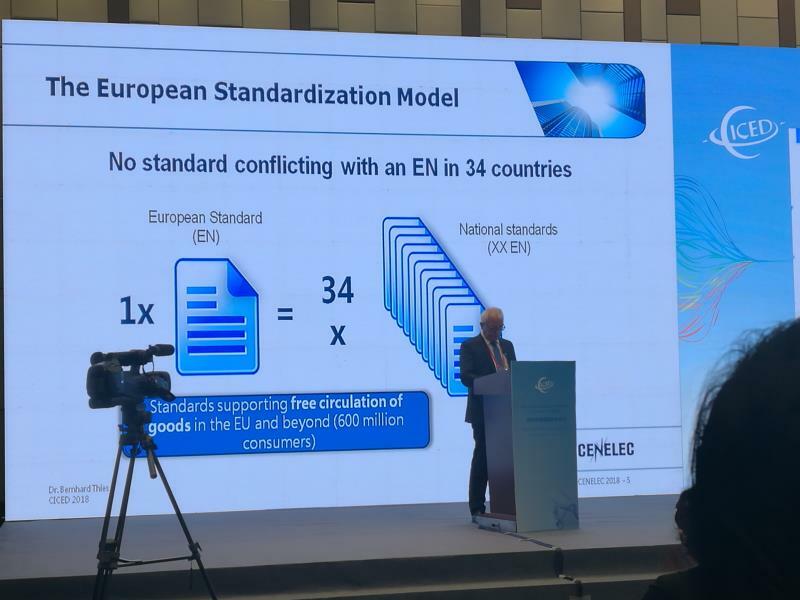 Seconded European Standardization Expert in China (SESEC) provided support for Dr.Thies’s participation in this conference.